Intricate patterns and vibrant blue colors are hallmarks of Polish Pottery, a durable stoneware that is found locally at Old World Polish Pottery in Navarre, Ohio. The store is located in the heart of Amish country, outside of Navarre, Ohio, about one hour’s drive northeast of our Inn. Like most drives in the area, the one to Navarre is lovely, and a great excuse to slow down and enjoy the countryside. 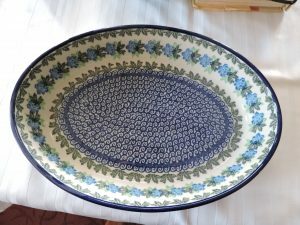 Old World Polish Pottery specializes in stoneware from Boleslawiec, Poland, an area rich in natural clay deposits that has been making this type of patterned pottery for more than 1,000 years. The handmade and hand-painted pieces are fired at temperatures from 2,500 to 3,000 degrees Farenheit, making them extremely durable, impervious to abrasives, and resistant to cracks and chips. All pieces are lead and cadmium free and—though called “old world”—are safe for refrigerator, oven, microwave, and dishwasher. 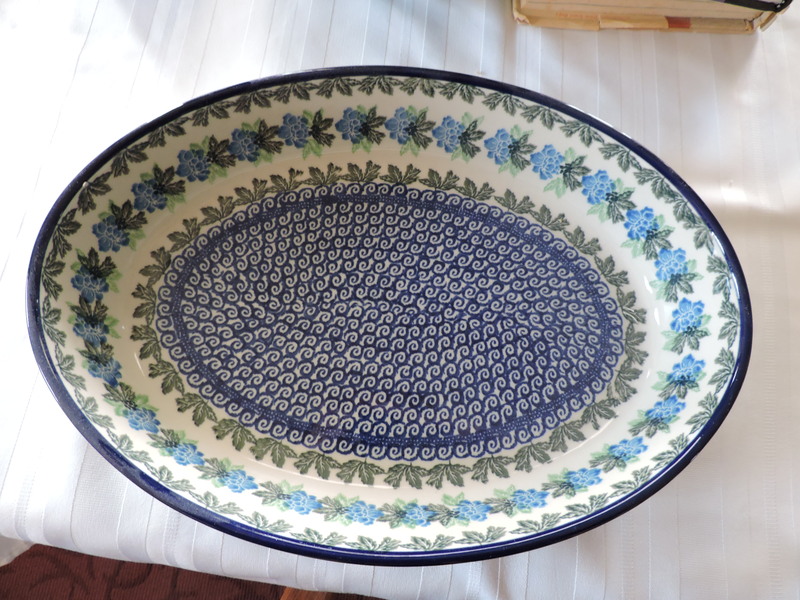 The selection you’ll find at Old World Polish Pottery can be staggering in scope. The company carries 122 different categories of stoneware, and each is stunning. When you stay with us at the Inn, we’ll be happy to offer suggestions of other places to enjoy on a day-trip to the Navarre area. And of course, we love to hear all about your excursions when you return for the night!